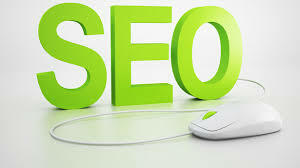 Theoretically speaking Local SEO means Local Search Engine Optimization and just like in the world wide SEO services, where we have a lot of important factors for a correctly process in order to obtain great rankings and online relevancy, for local seo, we must understand and work carefully for every step. When we discuss about local seo we must understand that are two different primary types of Local results – localized organic or pack/carousel results. If your business has a physical location you must definitely to start thinking to contact a local seo services company or to start learning alone what means this process. Please take consideration – use a citation. A citation represents an online place/platform that uses your company NAP (name, address, phone number) all on the same page, in the same format as your local listing. For long term relevancy and great results our recommendation is to use a mix of seo factors, from the most common link building, OnPage review and social signals till new and targeted signals in that area project. Try using in the footer section of your website or better on every page your name, your business name, your logo, address and phone number, in the same format as your Google local listing. Try using Schema Local Markup to better help search engines identify and show your location. HTML NAP matching your business page NAP. Provide quality of your seo work, white hat activities, and try to increase your reviews, this is another key factors for great rankins, BUT, don’t buy reviews because this is not a safe step for you online project. Your link building activities must include your area or your city, another option is to include like anchor your ZIP codes. Increase you quantity of inbound links to domain from Locally-Relevant domains. Identify the best citation sources for your city or your region. Guest blog posts are also a fantastic way to get citations, as you can often work them into your author bio. Setup correctly On-Page signals – including titles, domain authority etc. Use wise your social signals and improve them day by day – the major social media platforms and most important Google + authority. Make a great and correctly setup regarding mobile devices interactions and behavior. Dear visitors, like we already inform all these factors are importants for your local seo strategy but are not limited, so, if you need a free audit and a plan for your project regarding local seo services, please feel free to get in touch with us.